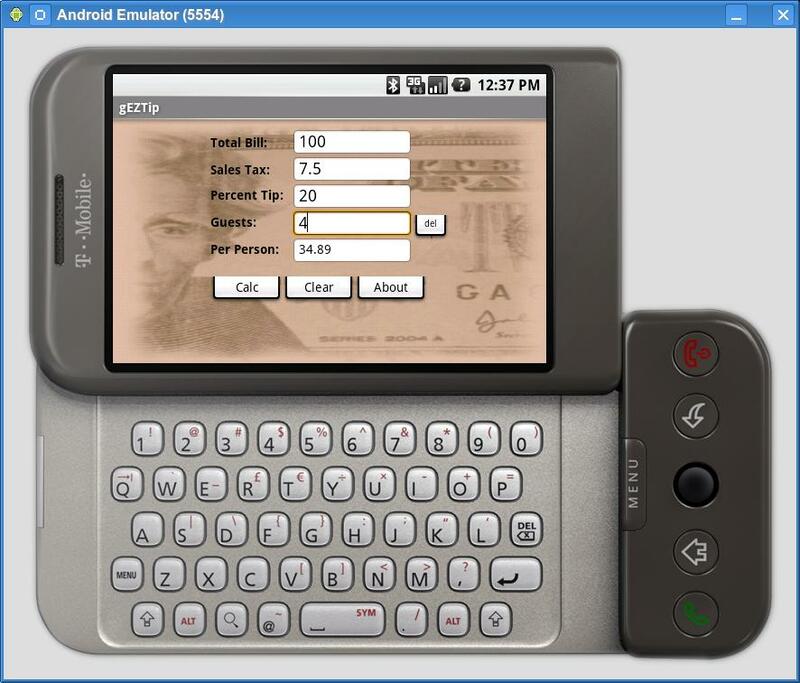 gEZTip is a FREE tip calulator for your android phone! Added line for total bill and tip. 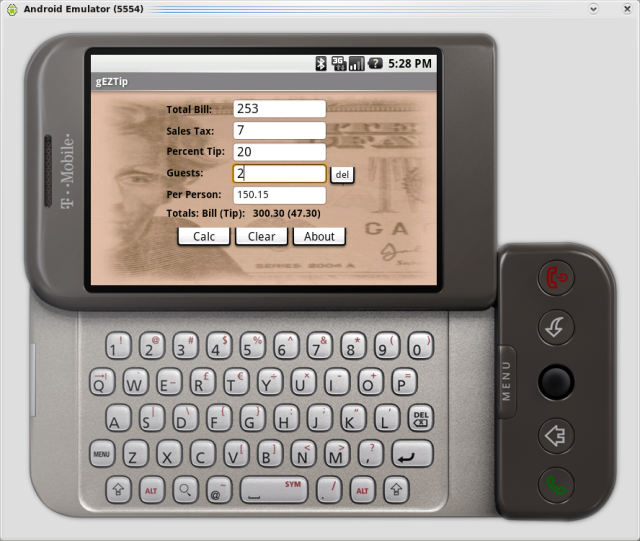 Graphical keyboard for easier input. Computes result on focus change. Focus is now properly set on the first edit box. Added a text box for the sales tax. The calculator will now calulate the tip on the pre sales tax figure. I also added a menu option to save the sales tax entered. Can you update your AndAppStore listing to 1.8, it looks like you’ve removed the 1.5 version you currently have listed there. I don’t see gEZTip in andappstore. (And they don’t seem to want me to reset my password).